With its position as one of the top 10 most–regulated industries in the US, pharma can pose a challenge to marketers eager to adopt cutting-edge trends. Bound by strict compliance guidelines, pharma execs and digital marketing teams often find themselves hindered from innovating and implementing the latest personalisation tactics without breaking the rules. But it doesn’t have to be this way. It simply requires a shift in mindset –– to start thinking of these challenges more as opportunities for innovating, and less as permanent limitations. With some creative strategy that focuses on high-value client interactions, you can move the conversion needle, orchestrate an impactful customer experience, and ultimately build the brand while coloring inside the lines. Here’s how. It’s no surprise that many pharma marketers have grown more frustrated as tighter regulations and other outside forces have, in many ways, toppled best efforts to create a personalised customer experience. Marketers have frequently found it nearly impossible to keep pace with recent consumer-focused engagement trends —such as robust social media interactions, immediate online customer support via chatbots, and other real-time response techniques — due to the fact that they’re ensnared in regulatory red tape. If you’re in this boat, you are likely highly aware you need to adapt, but feel your hands are tied when it comes to delivering a truly personalised digital experience. There is no need to bang your head against the wall just because you can’t replicate the creative tactics of consumer giants like Red Bull and Amazon. A great digital experience doesn’t have to be flashy to positively affect your audience; it just has to be personalised and relevant. By leveraging today’s technology and thoughtfully laying a solid foundation, you can deliver a more personalised healthcare experience. Let’s break down the latest consumer marketing tactics that pharma marketers are interested in to see how they can be used within the context of our regulated industry. Social media: As with all things pharma, regulatory concerns mean that interacting with patients on social media should be approached with due caution. Here’s where resourcefulness comes into play. Pharma marketers are beginning to test targeted social messaging without violating patient privacy by leveraging communities of shared interest. For example, MyHealthTeams creates social networks for communities of people facing chronic conditions, turning a potential gap into an opportunity for pharma brands to better connect with patients. In 2011, the company recognised the need for platforms that empower patients with chronic healthcare conditions to connect with others like them. They have created more than two dozen patient networks that feel more like mainstream social media models than traditional healthcare websites, realised viral user growth, and lured a host of investors. Another way to build impactful content for target users — and understand their concerns in the process — is to take advantage of your social listening skills. By doing so, you’re not responding directly to a tweet about a specific topic, but rather gathering feedback and triggering content on social with advanced software. Artificial Intelligence (AI): Though it may seem abstract and uber-technical, AI is more accessible than many pharma marketers realise, with savvy marketers using it to streamline the patient journey. For example, AI-based messaging platforms and chatbots are being used to monitor patient reporting of adverse events. When an automated application finds keywords in a user’s message, it triggers an alert that warns a human agent of the concern. The result? A proactive measure of managing both the brand’s reputation and compliance issues. A recent use case: Integrated health app-creator HealthTap began utilising an AI-powered Facebook messenger chatbot to answer patient healthcare questions in 2016. 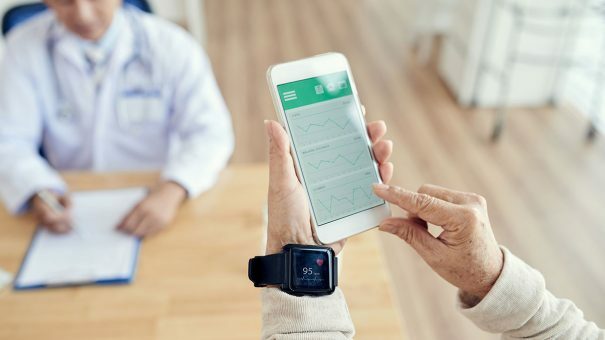 The technology has enabled patients to quickly find answers to their healthcare concerns, and access more than 110,000 US physicians with further questions. At last count, 1.7 billion individuals had installed the Facebook app on their mobile devices, and HealthTap has already helped millions of them get answers to more than 6.5 million health concerns. Video: Video is highly effective in engaging and educating physicians, patients, and caregivers, and it allows you to relay your information in a dynamic way while also adhering to regulations. For example, Phoenix Children’s Hospital is using videos to connect with their audience and tell patient stories. “We’re just at the cusp of beginning to understand how social media and live video, in particular, take the scary out of healthcare,” said Jared Johnson, a digital health consultant. In another instance, a teaching surgeon in the UK used Snapchat sunglasses ― which integrate a small camera that allows the recorder to live-stream video ― to enlighten viewers about hernia repair. And pharma giant Novartis, which markets a portfolio of drugs for heart conditions, used a Facebook live-stream to share Queen Latifah’s experience with heart failure (her mother struggled with the condition for more than a decade, and died from it in 2018). Tagging The American Heart Association and #WorldHeartDay, the company leveraged their messaging to both educate consumers and build a sense of brand responsibility. The takeaway? Adopting the latest digital marketing tactics while facing pharma’s stringent regulations is a challenge, but not one that can’t be overcome by carefully and creatively laying the appropriate groundwork. Instead of trying to match the marketing prowess of consumer megabrands overnight, start small and consider how today’s trends can help you improve your customer experience. With consideration for compliance guidelines, even pharma marketers can methodically leverage vehicles like social media, video, and AI to boost engagement, drive revenue growth, and — most importantly — improve patient health outcomes. Even in the current regulatory environment that is the bracing reality of pharma marketers everywhere, impactful tactics can be taken that deliver real results. It just requires a different lens to view them. Justin Grossman is CEO of meltmedia. He began his career at Accenture, building expertise in the enterprise space. He moved on to apply his consulting expertise to smaller technology startups, where he developed a passion for building and growing companies. His talents in business, technology, and design have led to a 20-year career focused on software and digital marketing consulting for life sciences clients such as Genentech and Johnson & Johnson.